The Vernon Building Society is a local, independent building society, based in Stockport. 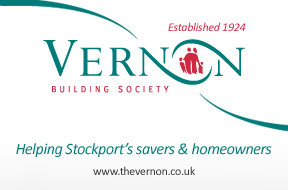 The Vernon Building Society is a local, independent building society, based in Stockport. The Society was founded in 1924 and is the only local building society serving the Stockport and East Cheshire area. It has built a strong reputation as a trusted provider of financial products to the local population with branches in Stockport, Edgeley, Marple, Bramhall, Hazel Grove, Poynton and Reddish. Vernon Building Society provides a variety of financial products including mortgages, savings, insurance and financial planning.